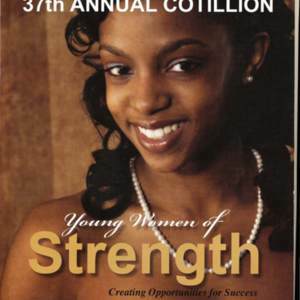 Click "Cotillion2009.pdf" below to open full yearbook. 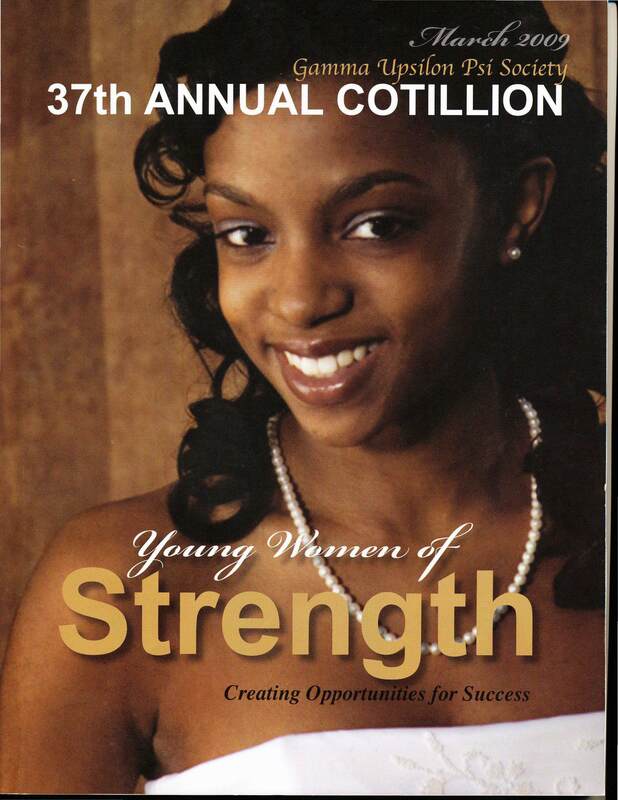 37th Annual Cotillion Yearbook. Theme: "Young Women of Strength: Creating Opportunities for Success"
Caneshia Lavone Frazier ...... .... Darren Martin Hicks, Jr.
Shakelah Racquel Odom ..... ... . .James Lloyd Carter Jr.
Gamma Upsilon Psi Society, “37th Annual Cotillion - Gamma Upsilon Psi Society,” eBlack Champaign-Urbana, accessed April 18, 2019, http://eblackcu.net/portal/items/show/859.